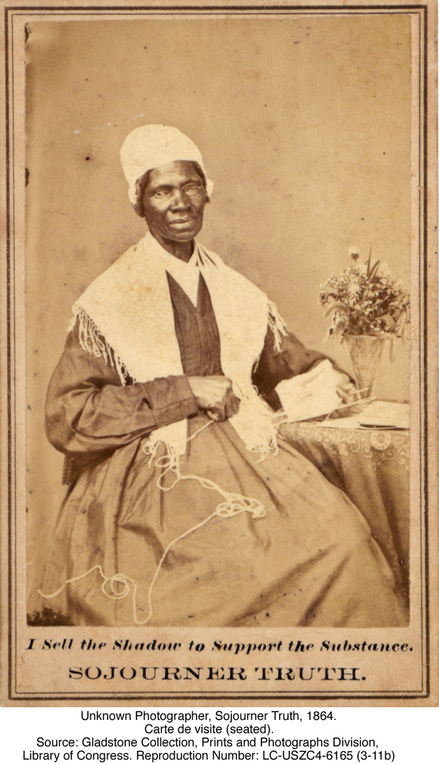 This carte-de-visite portrait of African-American abolitionist Sojourner Truth was sold to help raise money for her speaking tours. Art historian Elizabeth Hutchinson uses it to explore public perceptions of slavery, abolitionism, celebrity, and the constructed nature of photographs. Art historian Vivien Fryd explains how the Statue of Freedom, the bronze statue atop the U.S. Capitol dome in Washington, D.C., was altered to accommodate the sectional and racial politics of antebellum America. 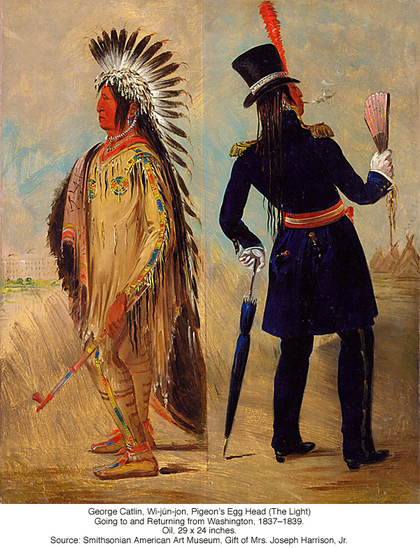 David Jaffee uses two images of Native Americans combined with primary text documents to challenge students to thnk visually as historians rather than merely to think visually. 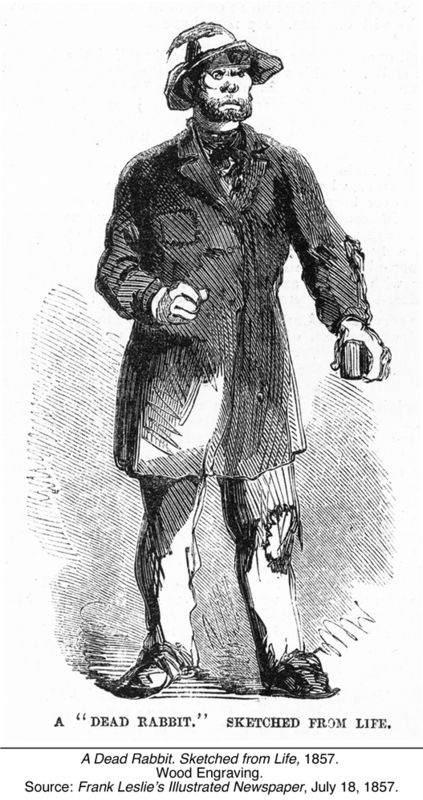 This essay examines two images of members of an Irish street gang in the mid-nineteenth century that address issues of immigrant stereotyping, urban immigration, poverty, and reform in the wake of large-scale Irish immigration.